Pieces of tile, wood or glass can be used to fashion a special picture frame. This guide is about making a mosaic picture frame. Colorful pieces of tile elevate a standard picture frame to something extraordinary. Before you start, clear the table and cover it with newspaper or a large garbage bag to avoid getting glue on the table. Place all your supplies on the table in front of you. The goal of this project is to cover one side of the picture frame with tiles in a mosaic pattern. To do this, you will probably want to create a practice pattern first. Use the pencil to trace an outline of the frame onto the paper. Arrange your tiles on the border of this outline until you are happy with the pattern. 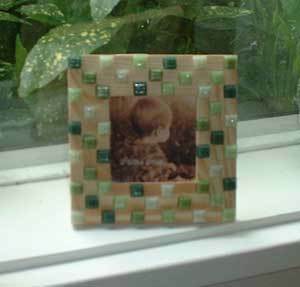 Transfer the tiles from the paper test pattern to the picture frame. To do this, pour some glue into the plastic container lid and spread it on the back of a tile. Press the tile onto the frame and hold until it sets. Repeat with the other tiles until done. Set aside until completely dry. If you are making a larger frame, you may want to spread grout over the tiles (follow instructions on grout package). Allow to dry and wipe the tiles clean of grout afterwards with a wet paper towel. Place a picture in your masterpiece or give it to a craft-loving friend! 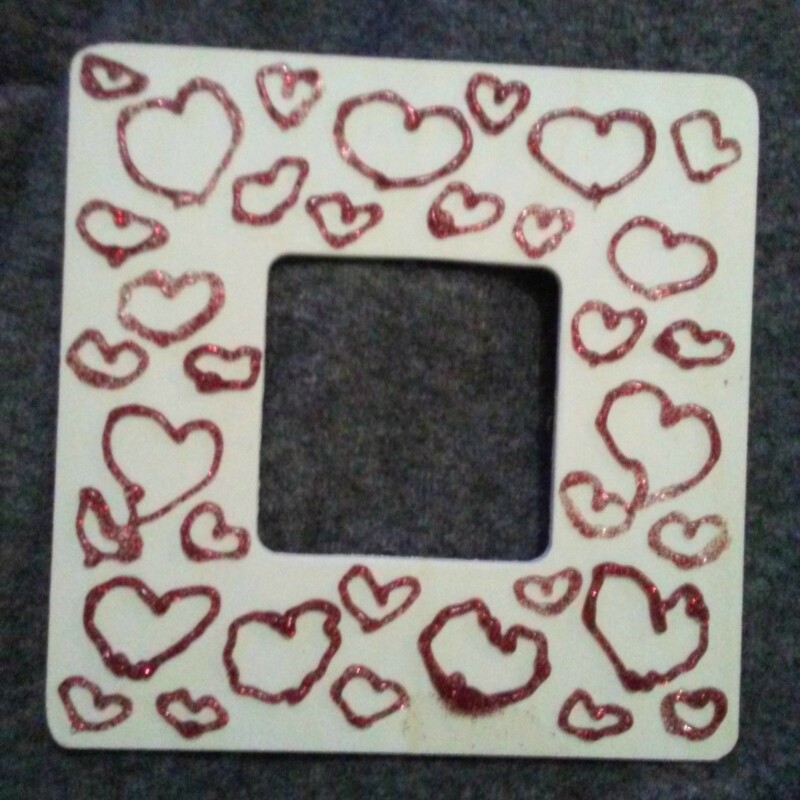 This is a guide about decorating a wooden picture frame. Plain wood picture frames can be decorated in many ways to fit into your home decor or to be given as gifts.